Connectionism focuses on neural networks. Connectivism focuses on the connections to knowledge sources. “Connectionism is only focused with learning that happens in our heads”. and “Connectivism is strongly focused on the linking to knowledge sources…”. (Siemens, 2006, p.37). The connections between these two lay in the “…view that learning is a process of network formation”. And, “Connectionism is based in behaviourism …. where learning occurs as we form links between stimulus and response” (Siemens, 2006, p.37). Oopps. I erred in the map. 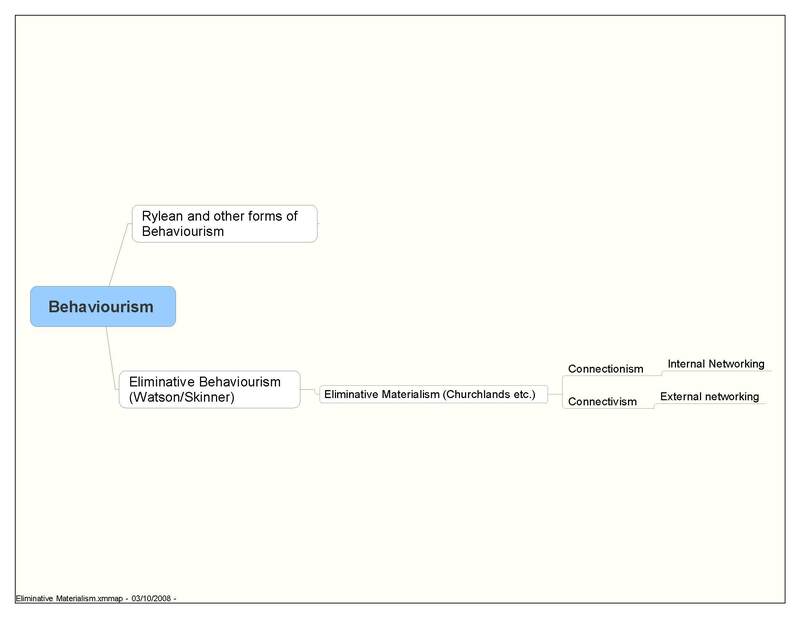 I meant to link connectivism to external networks and connectionism to internal networks.